Oh wow, oh wow, oh wow. 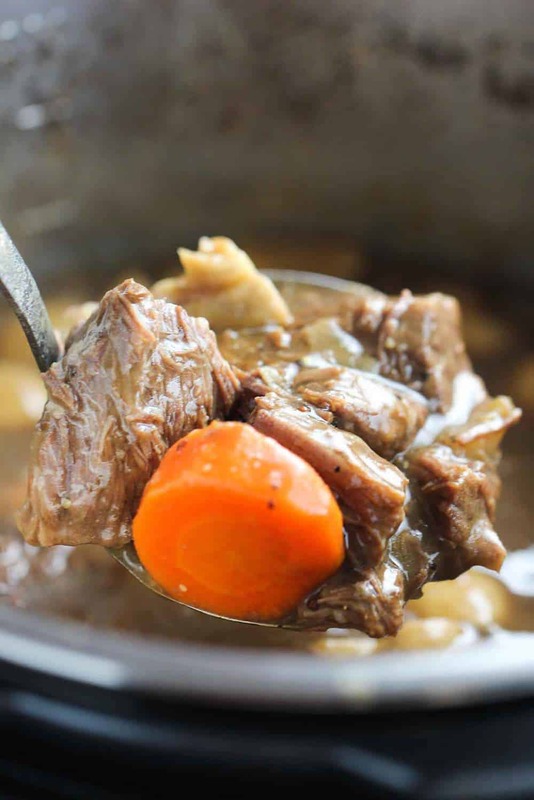 This Instant Pot Irish Guinness Beef Stew recipe is so heartwarming and so delicious. Right now, as I’m writing this, it’s the dead of winter in the Northeast United States. It’s frigid and snowy. And it’s just screaming for Irish Guinness Beef Stew! So, let’s make it easy, and do it in the Instant Pot! There is just something truly magical about the flavor profile of this incredible stew. It’s meat and potatoes, of course, but also mushrooms, and carrots, and amazing aromatics, all brought together in the pressure cooker with incredible stout beer and beef stock. 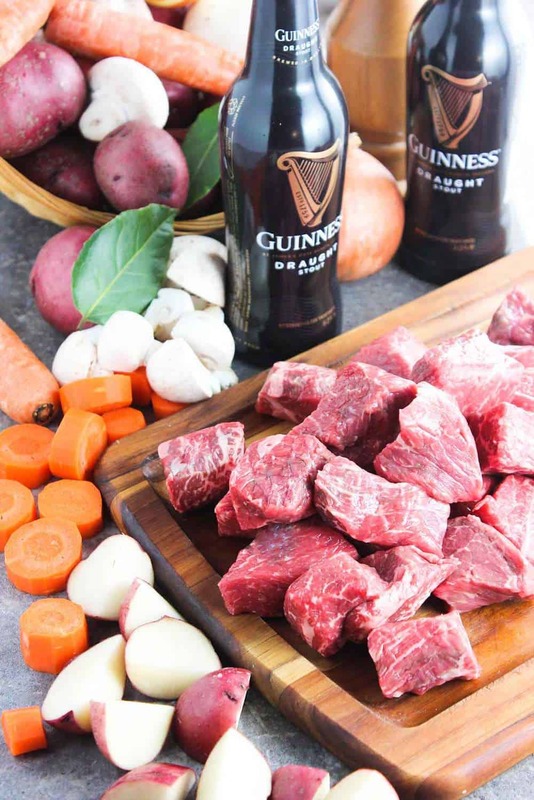 Watch us show you how easy it is to make this amazing Irish Guinness Beef Stew! A good stew needs a good liquid to braise in. Red wine is common, and often just a good hearty beef stock does the trick. 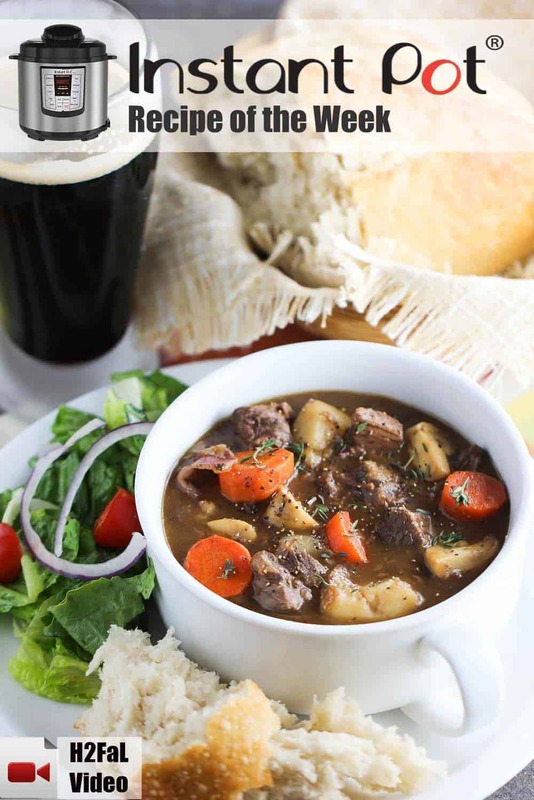 But leave it to the beautiful people of Ireland to make a beef stew braised in one of the most delicious stout beers on the planet: Guinness!! We love Guinness beer. It’s practically a meal in and of itself! Every bite of this incredibly flavorful stew is just so comforting. It’s truly hard to eat just one bowl. This has become one of the most requested dishes that the Loon calls for, especially once the temperatures outside start to drop. I don’t mind…I love it just as much as the Loon does. I mean, don’t you just want to grab that spoonful of comfort and dig in? And, of course, making this iconic stew in the Instant Pot allows you to have it on the table in just about an hour. That’s it!! Normally, the beef would need to slow-cook for hours to achieve the ultra-tender results you get with the Instant Pot! 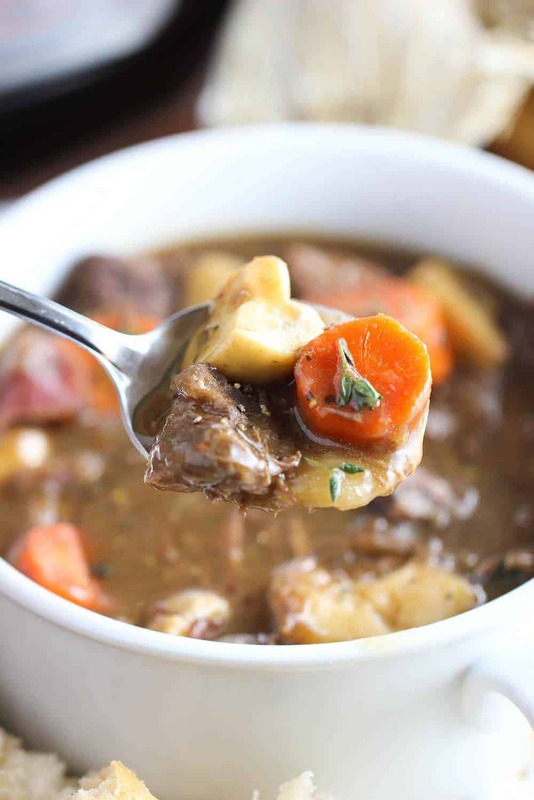 Now, I ask you…don’t you want to make this incredible Instant Pot Irish Guinness Beef Stew so you can enjoy all this comforting and delicious bowl of wonderfulness? We just can’t say enough fabulous yummy things about this stew!! 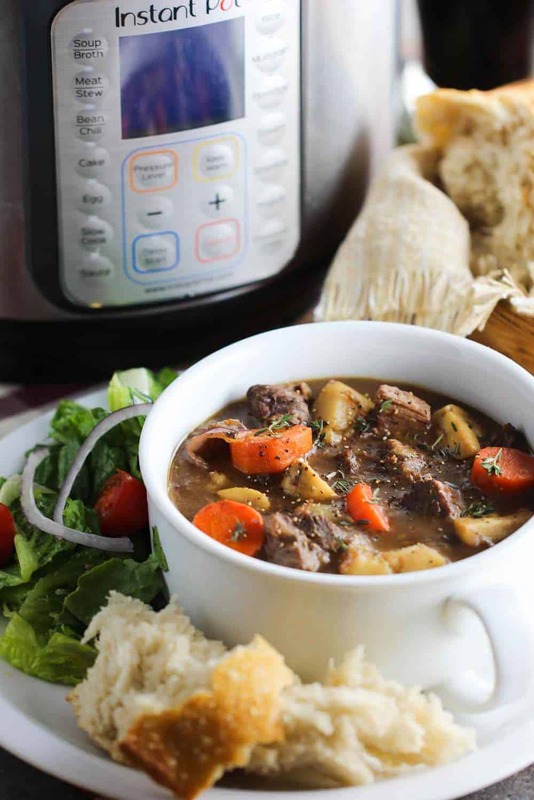 Now, let’s make this amazing Instant Pot Irish Guinness Beef Stew recipe! This Instant Pot Irish Guinness Beef Stew recipe is perfect for when it gets cold outside and you need something to warm and comfort you up on the inside. You won't believe how delicious it is, and you really won't believe how fast and easy it is to produce in your Instant Pot! 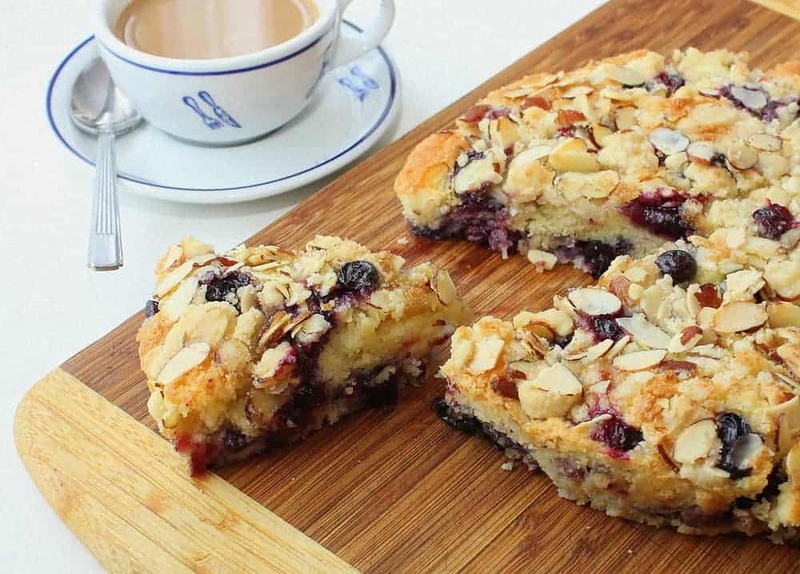 Serve with a nice salad, crusty bread, and of course, a tall glass of Guinness! YES! Sprinkle the beef all over liberally with salt and pepper. Select SAUTE and adjust to More on the Instant Pot and add the oil. Once the oil is hot and begins to shimmer, add the beef. (You will probably need to do this in 2 batches, as you don't want to overcrowd the beef as it browns). Brown the beef for 3 minutes, then turn the pieces over, and brown for another 3 minutes. Transfer the beef to a plate. Leaving the IP on high heat, add the mushroom and cook, stirring occasionally, until the are starting to turn golden brown, about 4 - 5 minutes. Transfer to a bowl and set aside. 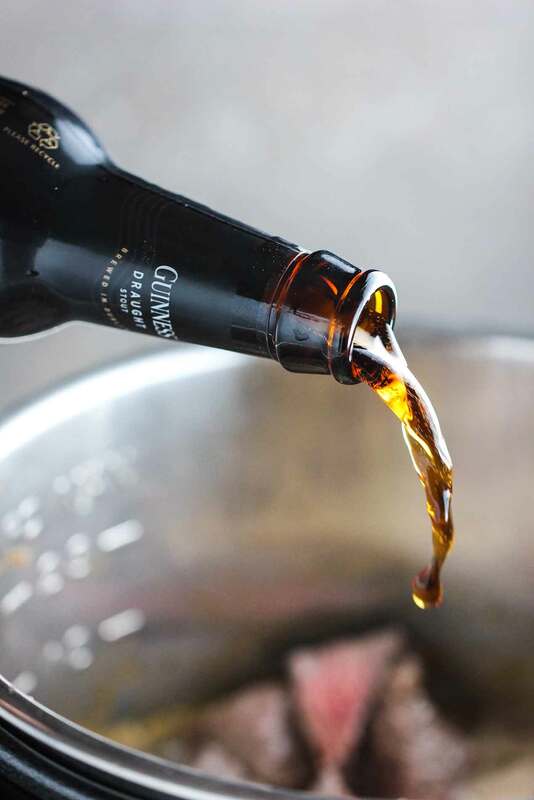 Press CANCEL and then add back into the pot the seared beef, as well as the beer, stock, onion quarters, garlic, Worcestershire sauce, mustard, thyme, bay leaf and salt and mix together. Secure the lid and push the Pressure Release to Sealing. Select the MEAT/STEW or PRESSURE COOK setting and set the cooking time for 30 minutes at high pressure. Carefully perform a quick release by moving the Pressure Release to Venting. Once the steam is fully released, open the pot and remove the onion quarters, bay leaf and thyme sprig. Stir in the carrots, potatoes and pearl onions. Secure the lid once again and push the Pressure Release to Sealing. Select the PRESSURE COOK or MANUAL setting and set the cooking time for 4 minutes at high pressure. Perform a quick release by carefully pushing the Pressure Release to Venting. In a smal bowl, mix together the corn starch and the water. Open the pot and stir in the reserved mushrooms and the cornstarch mixture. Stir occasionally for about 3 - 5 minutes until slightly thickened. Taste and add a little more salt, if desired. Ladle into bowls and garnish with thyme leaves, if desired. This stew was very delicious, the flavors melded so we’ll together. I followed the directions to a t and salted to taste. I found you guys on Pinterest a couple of weeks ago and have pinned so many of your recipes. I can’t wait to try more recipes you breakdown the cooking steps into easy steps with gorgeous pictures. Your videos compliment the recipes and are so sweet. Hi Kelly! Thank you so so very much!! That means the world to us! And we are so thrilled that you enjoyed our IP Irish Guinness Beef Stew…we love it, too!! Thank you for letting us know. And we are so glad you found us and we found YOU! 🙂 Please stay in touch!! All the best, Kris & Wesley. Quick question! You remove the onion quarters- so they are not part of the finished stew?? Hi Heather! They will cook down quite a bit, so you can leave them in the finished stew…but if they are a bit to chunky to your liking, you can remove them. We usually remove them. Thanks!! Let us know how it turns out! Thank you! One more if I double this, would I double the liquid? Hi Heather, in this instance, I would go ahead and double everything. Just make sure you IP is large enough to hold everything without nearing the top. Let us know how it turns out! Wow!! So delicious! I am hosting a group of friends at my home for lunch today, and this is what I’m serving along with some homemade sourdough 🙂 this stew is one of the most delicious things I’ve ever put in my mouth! Thank you! for a double batch do you also double the time? Yummm. … Made this over the weekend and it was a blast to my family. Thanks for the recipe. I have a 3 Qt pot being a bachelor… Can this recipe be halved? Yes, but you don’t want to reduce the amount of liquid in half. I’d say go with 1 bottle of Guinness and 1 cup of stock. Everything else, cut in half. So delicious and fast! Thanks!